Oh, How Pinteresting! | stesha rose. 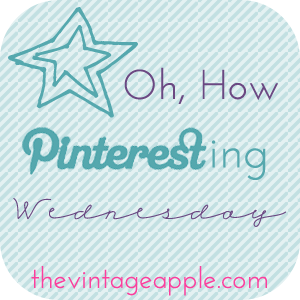 I am so excited to be back linking up with the wonderful Michelle for oh, how pinteresting! It has been forever! Since I have a little more time on my hands, I decided to research some of my fav. DIY projects! I love re-doing things, and if possible I would make my whole house DIY. OK, maybe not my whole house but you get what I am saying! I really love that coffee mug craft!! Everything is so great :) Love it!! Ok the coffee cups are a must do!! And the heart over the lens is just genius. such fun diy stesh! & i agree with meg, i miss you too! so many great things! i want to repin them all!! the heart camera lens topper is perfect! I plan on doing the mug and the sharpie. I want to use a bowl or a plate. Went looking today but I'm having a hard time. I LOVE those mugs... I think I'm gonna make those :] Gotta love Pinterest! Fab pinning per usual. So many easy DIY projects out there, so why haven't I completed a single one!?! Love you! Those wine bottles are freaking awesome! I never thought I'd say this, but I love that ceiling fan! Such a cute idea! the coffee mugs are so freaking adorable! i'm doing this!!!! i am loving that first pin with the mugs. such a great idea! !